Beware! 8Max is an offshore broker! Your investment may be at risk. 8Max is a unregulated, offshore broker which offers two standard accounts and a managed account with a leverage of up to 1000:1 and the MetaTrader4 platform. Here we should note that the practice of offering managed accounts is highly controversial – 8Max as most other brokers is a market maker, and as a market maker the broker trades against you. In other words when 8Max makes money, you lose and vise versa. That is why if 8Max manages your account, they will be in a conflict of interest, because it will simply be in their interest to lose your money to themselves. Otherwise the broker offers 48 currency pairs, some of which exotic or minor like USDZAR, USDTRY, USDSGD, USDSEK, USDPLN, USDNOK, USDHKD and USDCNH, but the benchmark EURUSD spread as tested with a demo account was as high as 2,4 pips, which is about a pip higher than the levels trades would usually consider attractive with a standard account. 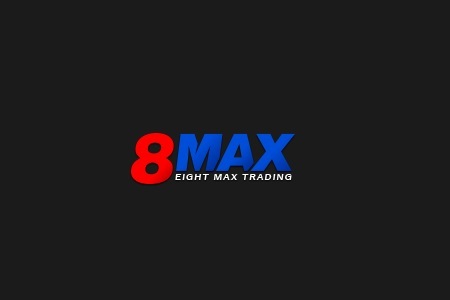 8Max is owned and operated by Red Blue Systems Ltd. – a Vanuatu based company, which does not have a license to offer financial services to traders and investors on regulated markets like the EU, the USA, Australia, Canada or Japan. Bear in mind that trading with unregulated brokers is extremely risky, because too often they are simply involved in scam. Trading with brokers, holding legit licenses by well respected institutions like the Cyprus Securities and Exchange Commission (CySEC), the Australian Securities and Investments Commission (ASIC), or the Financial Conduct Authority (FCA) in the UK on the other hand can give you a peace of mind about the safety of your funds, because regulated brokers are subject to a rigorous oversight. Besides, among other benefits, with a FCA broker for example your funds will be insured for up to 50 000 GBP. The minimum deposit requirement with 8Max is just 5 USD and that is fine. And they accept payments with major credit cards like VISA and MasterCArd, bank wire, bitcoins and some e-wallets like i-Account, WebMoney and UnionPay. The broker, however, does not accept payments with Skrill and that is worth noting because of the new anti-scam policy adopted by the money transfer company – Skrill requires all brokers, using its services to show a legit license. As we noted, 8Max is note regulated. Also, be aware of any trading bonuses that 8Max might offer you, because bonuses always come with additional withdraw conditions, which too often prove to be quite challenging. And besides, 8Max does not offer a negative balance protection, so you can end up owing them more money than you have deposited. Too often nowadays scam scenarios start on the social networks. You will just follow a link with some irresistible offer for fast and easy returns. Probably you will open one of the so called robo scam websites like Crypto Revolt and Bitcoin Evolution where in the beginning all you will be asked for will be your e-mail and phone. And if you fill the simple registration form immediately you will be transferred to the web page of a unregulated, offshore broker and will be presented with a trading account in exchange of an initial deposit of about 250 USD. Bear in mind that trading with a scam broker at first might seem like a lot of fun. For example, your trades will be amazingly successful, but that will happen simply because your trading account will be manipulated. The idea here is that you get more susceptible to the suggestion to investing a large sum. And surely you will be getting phone calls as well. It will be your “senior account manager” with trading signals and advises, but basically he or she will try to explain that if you want to make some real cash, you will definitely have to invest more – like at least 10 000 USD. And at that point most people do invest that kind of money, without realizing they have been scammed until the very moment they decide to withdraw some of their funds. Then it suddenly turns out they are not allowed to withdraw because of some minimum trade volume requirement that comes with their trading bonus. The excuse, of course, might be different but the result will always be the same – scammers will not give your money back. The best chance you have to get your deposit back is by filling for a charge back with your credit card company. Luckily both VISA and MasterCard recently extended the maximum period in which you will be allowed to do that to 540 days. If by any means scammers have succeeded to get to your banking details like credit card numbers or your online banking password, immediately change the password and block your credit card. Finally, do not take the offers of the so called recovery agencies. Those people will not recover you a single penny but will simply charge you some fees in advance and basically will leave you even deeper in to the red.